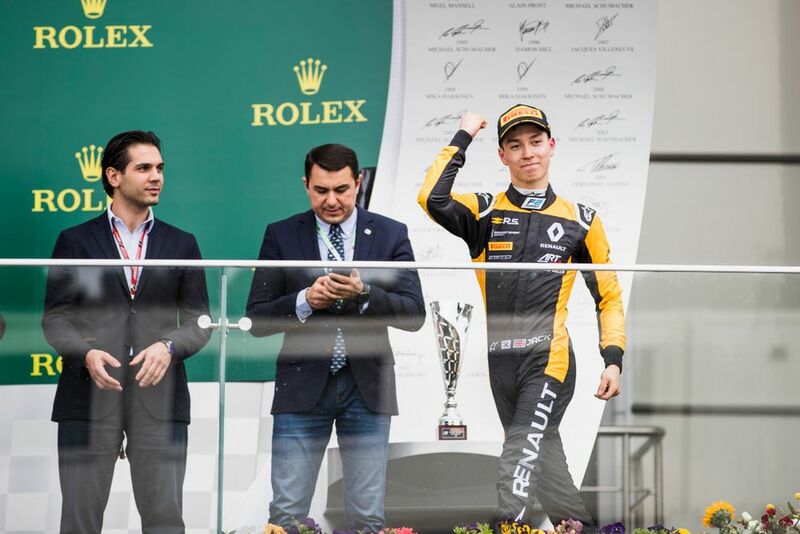 Jack Aitken Blog: Baku, That Was Fun! That was fun! 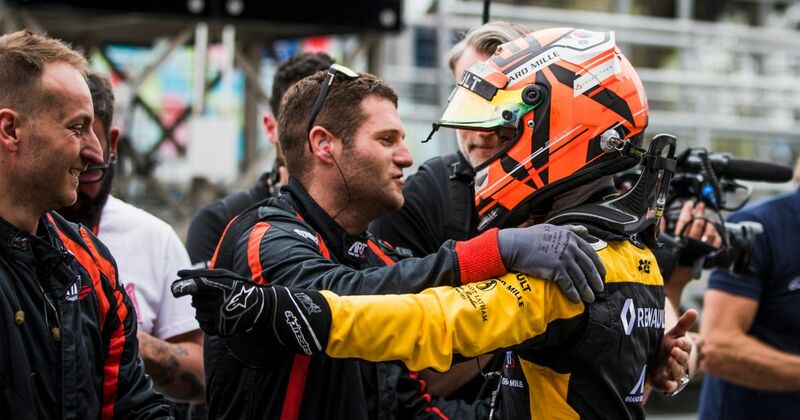 I went from starting in the pit lane to finishing second in the Azerbaijan Feature Race. It was a fantastic race with a lot of drama, and my ART Grand Prix car was really showing a lot of speed. 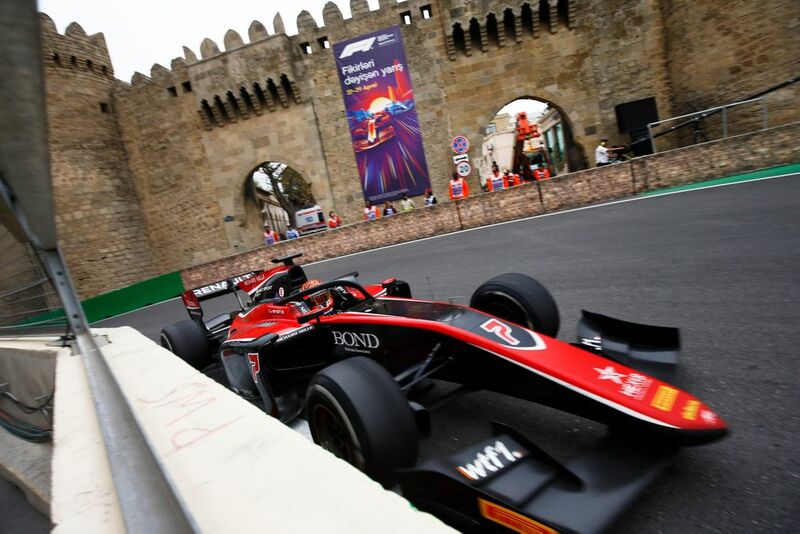 For me and the other F2 rookies, this was our first taste of the Baku street circuit, so free practice was about getting to know it. It’s a pretty interesting track. It’s quite intimidating because it’s a high-speed circuit, and so it’s difficult for a rookie to go and start pushing immediately. I just wanted to get some laps in and bed myself in. I was 15th but I didn’t really get a clear lap, and we had a few problems with the car. The DRS got stuck open, which you definitely don’t want on a street circuit. We managed to sort that out, but it meant driving without DRS, and I also had an issue with the steering wheel which we had to change. But after all that, when we looked at the data we knew the pace wasn’t too bad. Qualifying gave me sixth on the grid, and I was relatively happy with that. My first push lap wasn’t ideal, but I was building up confidence and I knew I could improve, but a red flag brought an early end to qualifying. However, I was only a couple of hundredths off the top five and we knew that Baku is an easy circuit to overtake on. Just as well, because I stalled at the start… so to deal with what became a contentious issue, the same thing happened in Sunday’s race too, when a full quarter of the grid couldn’t get off the line. The team has analysed everything that I have done, and the procedure was 100% correct from my side, so clearly there is an underlying issue affecting more than a few people and it needs to be looked at. When we try to avoid massive wheelspin or clutchspin, we have a very high chance of stalling. We’d even gone to the very safe side – but as soon as I start the procedure it’s as if I’ve switched the engine off. We really need to have a think about this, because it’s not a great advertisement for F1’s feeder series, and it is dangerous. Hopefully the F2 organisers will be bringing something different for us to use in the next round at Barcelona. At the moment, you either granny it off the line or, if you try to engage the clutch, you end up stalling – not very good for a 620bhp car. Anyway, in Saturday’s race there was quick work from the marshals to push me into the pit lane and the team got me going. We knew all was not lost because there was a good chance of a safety car. Luckily, we got one straight away, so I was able to catch up the pack. I was 18th and it was going to be a long race, so I took the view I could build up to things safely. That worked well, and I started picking people off one by one – and the more people I picked off, the more confident I became with my reference points and the pace. Once we’d got onto the medium tyre even more so, and the balance came towards us. By the time of the second safety car I was up to ninth, behind Lando Norris, and on the edge of the reversed grid for the top eight finishers. Better yet, at the restart, all hell broke loose as it tends to do at Baku – I passed Lando and Nicholas Latifi, others went off, and suddenly I was up to fourth! I got past Sergio Sette Camara for third without using DRS, and then it was just Alex Albon and Antonio Fuoco in front. Because I’d made a big effort fighting through the field in dirty air my tyres were going off. So, I regrouped for a lap, brought the tyres back, and managed to surprise Fuoco with a move at Turn 3. With only one lap to go after that I knew I wasn’t going to catch Alex unless he made a big mistake, so I concentrated on solidifying second place. If I’d had five laps remaining, my pace suggests I could have gone after Alex and had a real chance of the win. Before Sunday’s race, we took the view of having either big wheelspin or clutchspin just to get off the line, because you can win in Baku from just about anywhere. But we didn’t even manage that, and in total 5 cars stalled, not helped by the track having gripped up over the weekend. From there on it was like a test session. Every time I passed a yellow flag I thought, ‘Come on, there has to be a safety car now,’ but it never came! I completely outpaced the others around me, and I got fastest lap, but the gap was over a minute which was too much to make up on the pack. That was really disappointing. We could have had good points, probably a podium and maybe even a win – it was there to take. However, it was satisfying to be the fastest guy, and if the start issue can be solved, we should be very strong from the next event at Barcelona. From my point of view, we were the best performer in terms of speed and overtaking and that’s what I’m going to take away from an eventful weekend in Baku!